As the curtains draw on the year 2018, India will get the final opportunity -- after losing to South Africa and England in their den -- to justify its number one position in ICC Test rankings. On December 6, India will play the first Test of the four-match series against Australia in Adelaide. India needs to win the series convincingly to showcase that it can also win away from home. At present, the defeats overseas have put a big question mark about recognising India’s billing as the number one side, as victories only at home definitely does not augur well on its status of being one. The cricket magic that India showed in beating opponents at home once again came to the fore when it beat a weak West Indian side recently. The only redeeming factor of the victory for India was to regain confidence as a team. The same holds true for some of the players. Crickets’ red cherry -- the ball -- has been one of the causes stated for India’s overseas debacles. The other being the lack of match preparation before the start of a Test series. The famous red Kookaburra ball will definitely be in operation and so the issue pertaining to the ball will remain one to be tackled by the Indian players. With just one practice match to get attuned and acclimatised before the Test series, the Indian Test side, one feels, may once again fall short in preparation. The bowlers may find it difficult to come to terms with the seam and the feel of the ball, as well as adjusting to the line and length to bowl. This is always a challenge in difficult conditions. 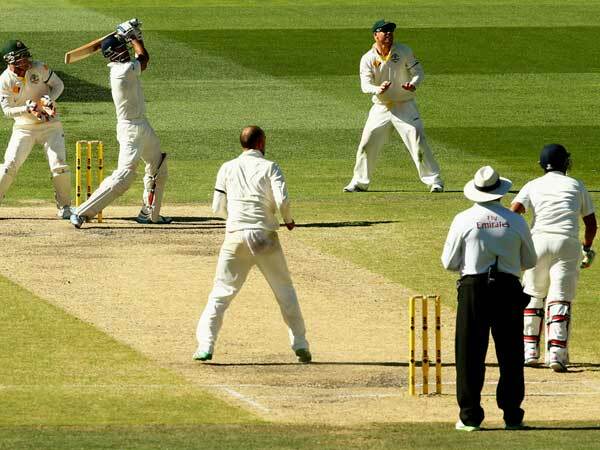 Australian wickets have that extra bounce that requires major adjustment, not only for the batsmen, but also for the bowlers. The series Down Under has been given plenty of lip service as to how important it is for Indian cricket, especially as India has never beaten Australia in their backyard. Under these circumstances, the BCCI and the Indian team management should have ensured that the Australia-India T20 series, played with a white ball, was scheduled after the completion of the Test series, rather than before. This would have given the Indian Test side reasonable time to get acquainted to the conditions and be better prepared for the four-Test series. The only reason for this not to happen boils down to the commercial gains of ‘Vitamin M.’ Money is important, but when it starts dictating cricket series and events, especially the conventional form of it, Test cricket will be a definite loser. The present Australian side without their two stalwarts, Steve Smith and David Warner, do not look a very strong batting unit. There is not a single star batsman in their ranks for one to follow and revere. Since the ball tampering incident, the Australian Test side looks deflated and a draw against Pakistan in Dubai, through some resolute batting, is all they can boast of till now. Cricket is an unpredictable game and with no superstars to rely on, it may just prove to be fruitful for the future of Australian cricket. The responsibilities of carrying the team without them somehow gets divided and newfound stars could emerge. An example of this came about for Australia in the past, when they were disrupted by the famous Kerry Packer cricket circus. The team under Bob Simpson, Kim Hughes and thereafter, Allan Border, went on to find a new bunch of talented cricketers who went on to make Australia a world beating unit. At present, Australian cricket is going through a major cultural crisis. Their cricket has always been played with an abrasive attitude. Aggression has been a trait that is inborn in their DNA while playing a sport and curtailing it could be quite stifling for some of them. Will an Australian cricketer be able to change this inherent characteristic and be successful? Tim Paine, Australia’s wicketkeeper and captain, along with coach Justin Langer have tried instilling the spirit by introducing a pre-match shake of hands with the opponents. This as yet has not won them any matches. A win is the only way this humble attitude will continue as another series defeat will not go down well with either them or their fans. has become far more aggressive than before. Captain Virat Kohli is emotional and has a definite attitude on the field. This has been the reason for his success and has made him the best in the business. A subdued Australian side against an aggressive Indian side backed by its captain will be quite interesting to watch, as the series goes on. India looks a far better side on paper and this is, therefore, a golden opportunity for them to finally get the win that has eluded them since their first tour Down Under in 1947. However, India received a big jolt on Friday after promising opening batsman Prithvi Shaw was ruled out of the first Test in Adelaide after suffering an ankle injury while attempting to take a catch on the third day of the tour match against Cricket Australia XI in Sydney.